It’s really funny (Life is to too short, we have to laugh and smile), how some managers still don’t understand this and make the programmers job really painful. Wake up! Wake up! managers. Joel started writing articles in 2000 and has influenced the way of thinking of many people around the globe. Although, he’s not very active today, he has written really great articles about Software Development, Programming, Design, Startups, Recruiting and Interviews. If you are a Software Developer, CEO, Team Leader, Product Manager, Startup founder, CS student or just work in the Software Industry, I think you will find these articles really interesting. You can find all those articles in his blog or you can buy the two books with his writings in Amazon. I really enjoy reading in a tablet too. So, instead of buying the two books, I downloaded the Joel on Software Android app, created by the software company Digicorp. You can use the app, even without an Internet connection. Thanks guys!. A Field Guide to Developers. The Guerrilla guide to interviewing v_3.0. Getting Things Done When You’re Only a Grunt. The Command and Control Management Method. Top Five (Wrong) Reasons You Don’t Have Testers. The Absolute Minimum Every Software Developer Absolutely, Positively Must Know About Unicode and Character Sets (No Excuses!). 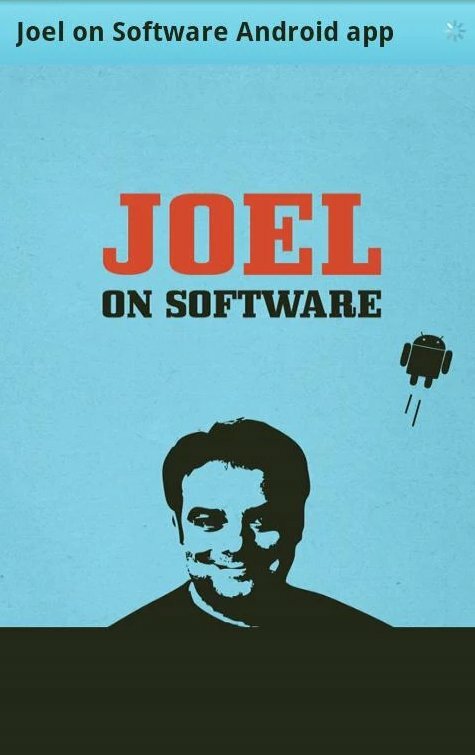 Go and read, buy or download the Joel on Software stuff, it’s worth reading.